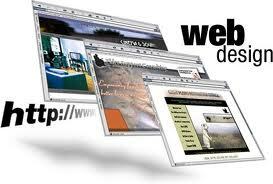 The Best Website Design Company is solely responsible for making your website beautiful and appealing. It will attract more visitors, compels them to fully explore the contents of the website and brings in additional sales. Look no further than Top Marketing Agency for your custom website design. An impressive portfolio of satisfied clients in a wide variety of industries. A client list whose websites all have unique designs that fit each company perfectly. Fast response time to your questions and concerns. A creative team with extensive experience to tackle your project. We encourage your participation and input. A page of testimonials that bear witness to customer satisfaction and professionalism. A positive rating on websites that rate customer satisfaction. Top Marketing Agency is the Best Website Design Company for your online web page. We know exactly how to use website design tools like customized solutions, e-commerce and flash applications to provide a website design that your customers find engaging and encourage further exploration. You will receive the higher ROI you deserve.